Dr. Freedman is the PNNL Soil and Groundwater Program Manager for the DOE Office of Environmental Management Sector. She leads the Deep Vadose Zone program, which leverages investments from basic science, applied research, and site contractors in a collaborative effort to address the complex region of the deep vadose zone at Hanford. The primary goal of this program is to develop innovative remediation alternatives for deep vadose zone challenges in characterization, prediction, remediation, and monitoring and ensure long-term protection of water resources through development and application of transformational remedial solutions. She has a Ph.D. in Environmental Sciences from The Ohio State University, and specializes in hydrogeology and vadose zone hydrology. 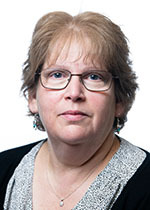 Dr. Freedman’s research activities have included theoretical and numerical studies of coupled hydrodynamics, contaminant transport, and geochemistry in environmental systems since joining PNNL in 2000. She has been involved in both forward prediction and inverse modeling of tank farm wastes at the Hanford Site, and has been a major contributor to the vadose zone modeling for field investigations of past leaks, as well as tank closure performance assessments (PA) investigating potential leak scenarios. She is particularly interested in solving real-world problems using high performance computation, and leads the development of the Platform software that is part of ASCEM (Advanced Simulation Capability for Environmental Management, a collection of next-generation toolsets for use in environmental applications). Through this work, she has demonstrated the use of supercomputers and to model subsurface discharges and evaluate potential remediation technologies in the deep vadose zone at Hanford. Rockhold M.L., J.L. Downs, S.R. Waichler, C. Yonkofski, V.L. Freedman, and M.J. Truex. 2018. Draft Technical Impracticability Evaluation for Iodine-129 in Groundwater at Hanford: 200-UP-1 Operable Unit. PNNL-28057. Richland, WA: Pacific Northwest National Laboratory. Freedman V.L., D.H. Bacon, and Y. Fang. 2016. Integrated Disposal Facility FY 2016: ILAW Verification and Validation of the eSTOMP Simulator. PNNL-25185; RPT-IGTP-010 Rev. 0. Richland, WA: Pacific Northwest National Laboratory. Ryan J.V., and V.L. Freedman. 2016. A Strategy for Maintenance of the Long-Term Performance Assessment of Immobilized Low-Activity Waste Glass. PNNL-23503 Rev. 1; RPT-IGTP-001 Rev. 1. Richland, WA: Pacific Northwest National Laboratory. Neeway J.J., E.M. Pierce, V.L. Freedman, J.V. Ryan, and N. Qafoku. 2014. A Strategy to Conduct an Analysis of the Long-Term Performance of Low-Activity Waste Glass in a Shallow Subsurface Disposal System at Hanford. PNNL-23503; RPT-66309-001 Rev. 0. Richland, WA: Pacific Northwest National Laboratory. Pierce E.M., S.N. Kerisit, E.J. Krogstad, S.D. Burton, B.N. Bjornstad, V.L. Freedman, and K.J. Cantrell, et al. 2013. Integrated Disposal Facility FY 2012 Glass Testing Summary Report. PNNL-21812 Rev. 1. Richland, WA: Pacific Northwest National Laboratory. Seitz R., M.D. Freshley, P. Dixon, S.S. Hubbard, V.L. Freedman, G.P. Flach, and B. Faybishenko, et al. 2013. "ADVANCED SIMULATION CAPABILITY FOR ENVIRONMENTAL MANAGEMENT - CURRENT STATUS AND PHASE II DEMONSTRATION RESULTS." In Waste Management Symposia (WM2013): International Collaboration and Continuous Improvement, February 24-28, 2013, Phoenix, Arizona, Paper No. 13161. Tempe, Arizona:WM Symposia. PNNL-SA-92771. Fayer M.J., A.L. Ward, and V.L. Freedman. 2010. Technical Basis for Evaluating Surface Barriers to Protect Groundwater from Deep Vadose Zone Contamination. PNNL-18661 Final. Richland, WA: Pacific Northwest National Laboratory. Guin A., R. Ramanathan, R.W. Ritzi, D.F. Dominic, I.A. Lunt, T.D. Scheibe, and V.L. Freedman. 2010. "Simulating the Heterogeneity in Braided Channel Belt Deposits: 2. Examples of Results and Comparison to Natural Deposits." Water Resources Research 46. PNNL-SA-69315. Ramanathan R., A. Guin, R.W. Ritzi, D.F. Dominic, V.L. Freedman, T.D. Scheibe, and I.A. Lunt. 2010. "Simulating the Heterogeneity in Braided Channel Belt Deposits: Part 1. A Geometric-Based Methodology and Code." Water Resources Research 46. PNNL-SA-69314. Schuchardt K.L., K. Agarwal, J.M. Chase, M.L. Rockhold, V.L. Freedman, T.O. Elsethagen, and T.D. Scheibe, et al. 2010. "Task parallel sensitivity analysis and parameter estimation of groundwater simulations through the SALSSA framework." In Proceedings of the 2010 Scientific Discovery through Advanced Computing (SciDAC) Conference, July 11-15, 2010, Cattanooga, Tennessee, 233-237. Oak Ridge, Tennessee:Oak Ridge National Laboratory. PNNL-SA-73770. Freedman V.L. 2008. Potential Impacts of Leakage from Black Rock Reservoir on the Hanford Site Unconfined Aquifer: Initial Hypothetical Simulations of Flow and Contaminant Transport. PNNL-16272 Revision 1. Richland, WA: Pacific Northwest National Laboratory. Oostrom M., Z.F. Zhang, V.L. Freedman, and G.D. Tartakovsky. 2008. Improved Predictions of Carbon Tetrachloride Contaminant Flow and Transport: Implementation of Kinetic Volatilization and Multicomponent NAPL Behavior. PNNL-17878. Richland, WA: Pacific Northwest National Laboratory. Freedman V.L. 2007. Potential Impacts of Leakage from Black Rock Reservoir on the Hanford Site Unconfined Aquifer: Initial Hypothetical Simulations of Flow and Contaminant Transport - Errata. PNNL-16272-Errata. Richland, WA: Pacific Northwest National Laboratory. Freedman V.L. 2007. Potential Impacts of Leakage from Black Rock Reservoir on the Hanford Site Unconfined Aquifer: Initial Hypothetical Simulations of Flow and Contaminant Transport. PNNL-16272. Richland, WA: Pacific Northwest National Laboratory. Freedman V.L., Z.F. Zhang, J.M. Keller, and Y. Chen. 2007. Development of Waste Acceptance Criteria at 221-U Building: Initial Flow and Transport Scoping Calculations. PNNL-16585. Richland, WA: Pacific Northwest National Laboratory. Ward A.L., M.E. Conrad, W.D. Daily, J.B. Fink, V.L. Freedman, G.W. Gee, and G.M. Hoversten, et al. 2006. Vadose Zone Transport Field Study: Summary Report. PNNL-15443. Richland, WA: Pacific Northwest National Laboratory. Freedman V.L., Y. Chen, and S.K. Gupta. 2005. CFEST Coupled Flow, Energy & Solute Transport Version CFEST005 Theory Guide. PNNL-15452 Rev. 1. Richland, WA: Pacific Northwest National Laboratory. Um W., R.J. Serne, S.B. Yabusaki, V.L. Freedman, S.D. Samson, and K.L. Nagy. 2004. "The role of secondary mineral precipitates on radionuclide sequestration at the Hanford Site." In Proceedings of the eleventh international symposium Water-Rock Interaction, WRI-11, edited by RB Wanty and RR Seal, 1, 715-718. Leiden, New York:AA Balkema. PNNL-SA-48216. Zhang Z.F., V.L. Freedman, and S.R. Waichler. 2004. 2004 Initial Assessments for the T and TX TY Tank Farm Field Investigation Report (FIR): Numerical Simulations. PNNL-14838. Richland, WA: Pacific Northwest National Laboratory. Zhang Z.F., V.L. Freedman, S.R. Waichler, and M.D. White. 2004. 2004 Initial Assessments of Closure for the S-SX Tank Farm: Numerical Simulations. PNNL-14604. Richland, WA: Pacific Northwest National Laboratory. Freedman V.L., and M. Ibaraki. 2003. "Coupled reactive mass transport and fluid flow: Issues in model verification." Advances in Water Resources 26, no. 2003:117-127. PNWD-SA-5831. Zhang Z.F., V.L. Freedman, and M.D. White. 2003. 2003 Initial Assessments of Closure for the C Tank Farm Field Investigation Report (FIR):Numerical Simulations. PNNL-14334. Richland, WA: Pacific Northwest National Laboratory. Bacon D.H., B.P. McGrail, V.L. Freedman, G. Ventura, P.N. Risoluti, and K.M. Krupka. 2002. "Performance Assessment of Low-Level Waste Disposal Facilities Using Coupled Unsaturated Flow and Reactive Transport Simulators." In Scientific basis for nuclear waste management XXV : symposium held November 26-29, 2001, Boston, Massachusetts; Materials Research Society symposium proceedings, edited by McGrail, B. P.; Cragnolino, G. A., 713, 267-274. Warrendale, Pennsylvania:Materials Research Society. PNNL-SA-35913. Freedman V.L., and M. Ibaraki. 2002. "Effects of chemical reactions on density-dependent fluid flow: On the numerical formulation and the development of instabilities." Advances in Water Resources 25, no. 4:439-453. PNWD-SA-5733.